Managing damp walls and mould in your home is important. Being comfortable in your own home and not having to worry about damp walls requires regular checks and following a few simple steps can keep your house damp free. 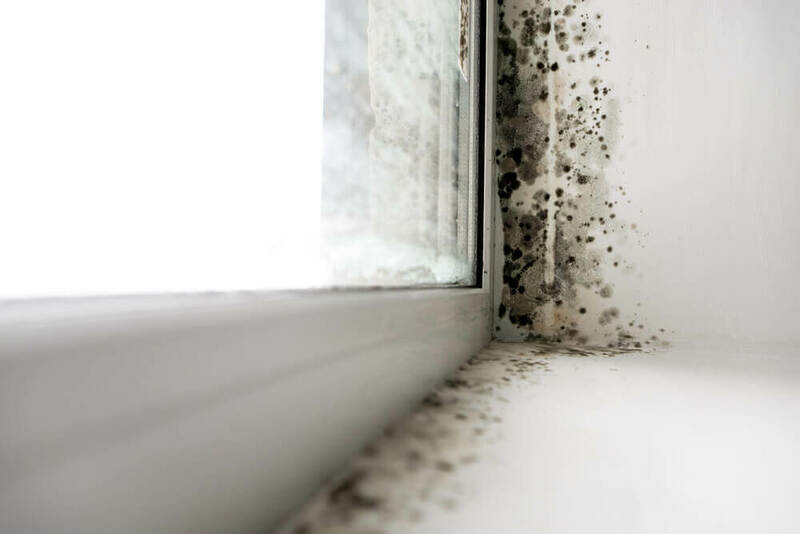 Regardless of whether you’re a homeowner or renter, being able to prevent damp in your house will provide a healthy and safe environment for you and your family. There are steps you can carry out to manage and prevent damp in your home that won’t require a damp proofing specialist. Always keep an eye out for any potential signs of moisture or damp walls in your home, as you may have a problem that can only be fixed by a damp proofing specialist. If this is the case, you can call us today on 01793 272085 or visit our damp proofing page for more information. 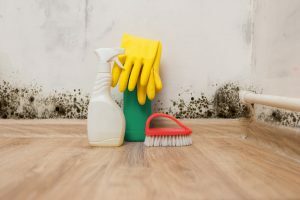 In this damp proofing guide, Biocraft Southwest will guide you through some simple steps you can carry out in your home to prevent damp walls and other damp in your house. Living with damp walls and thinking about damp proofing cost can be difficult. Our team of experts are always here to lend a hand when it comes to damp proofing solutions. As a specialist damp proofing company, we have years of experience providing damp treatment solutions and advice on rising damp throughout domestic and commercial properties in the South West. We’re one of the leading damp proofing specialists and have some great tips for keeping your home damp free, and what to look out for – especially during the rainy months. Some areas in your home are more susceptible to damp than others, with rising damp being a big threat to areas with little or no damp proofing. This could also be the case rooms that are poorly ventilated and naturally colder. So what damp proofing checks can you carry out? You can start with some physical checks of all internal walls and ceilings in your home. Running your hand along each wall and feeling for cold or dampness is a sign that you could have damp walls without actually being able to see any evidence. This is generally how damp starts and if caught and treated earlier enough, there will be minimal to no damage in your home. Additional things to look out for are small specs of mould or black marks on painted walls and ceilings. This often indicates poor damp proofing and could create far worse issues such as penetrating damp on the interior of your damp walls. Any flaking paint and discolouration of your ceiling could point to a potent ial leak in your roof or poor insulation within your loft or ceiling space. Damp and wet rot can hide in the most inconspicuous of places. Regularly checking the backs of your kitchen cupboards and grouting on all tiles in your kitchen and bathroom is also important. It’s essential to your health and safety that you keep areas clean where you regularly prepare food and wash. You can simply check for any blackening on grouting and seals in your bathroom and have them replaced, and also check for damp or mouldy smells in your kitchen cupboards. How can I manage damp proofing in my home? There are a few simple steps you can follow to prevent damp and mould from entering your home. If you already have damp in your house, following some of these DIY damp proofing tips can help you dry any damp walls you already have. Making sure your home is warm and dry is essential. Whilst we’re always looking to save those extra pennies on our utility bills, turning off your heating for prolonged periods of the year could result in higher damp proofing costs down the line. The main cause of damp in this scenario comes from the warm moist air in your home interacting with cold surfaces such as windows and walls. Our damp proofing specialists at Biocraft recommend adjusting your heating settings to run for longer periods throughout the day but at a lower temperature. This will allow your entire house to be warming for longer and avoids creating large amounts of moisture in certain rooms. Another damp proofing tip you can practice around the home is ensuring your property is well ventilated and any excess moisture is removed using a dehumidifier. Well ventilated rooms such as your bathroom and laundry room can be greatly beneficial in preventing damp walls. This type of damp proofing prevents your internal walls from becoming damp from the inside out. If your bathroom is not properly ventilated, after each hot shower you will be left large amounts of moisture that has nowhere to go except into the walls. Moisture will sit and collect on the walls before being absorbed into the paint – thus creating damp walls. Our damp proofing specialists recommend installing a ventilation system in every bathroom you own, as having the window open just isn’t enough. At Biocraft South West, we specialise in the treatment and removal of all damp walls and mould from domestic and commercial properties. As one of the leading providers of damp proofing in the South West, we’re experts in dealing with rising damp, wet rot, and specialist damp treatments in your home. Our damp proofing specialists are experienced in damp proof membrane installations and damp proof treatments in your home. For more information on our services, you can call us today on 01793 272085. Alternatively, you can visit our damp proofing page and explore our full range of services.